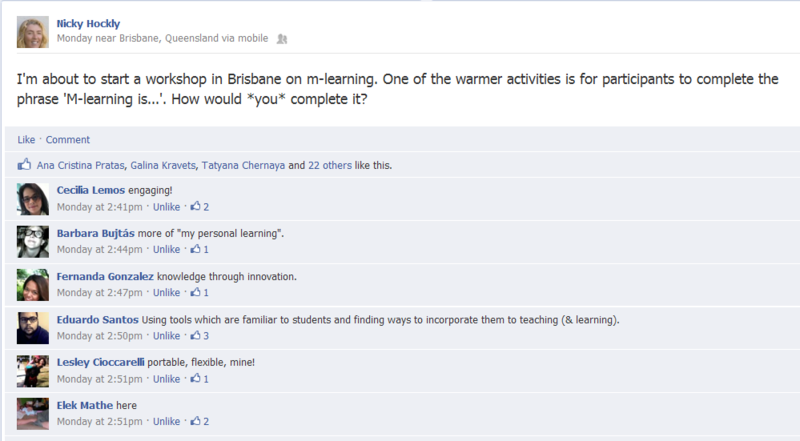 I’ve been running a series of workshops about mLearning around Australia, for English language teachers. One of the first things I ask is what participants understand by the term. 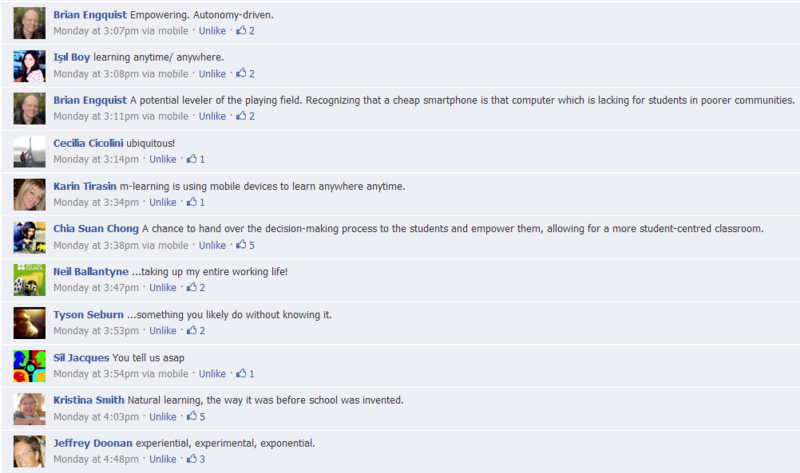 So, how would you define ‘mobile learning’? Please feel free to add your take on it in the Comments below!